At Kadic Academy, Odd seems in a panic when he enters Jeremy’s room, where the heroes are all meeting! He announces the cause of his disarray: Jim and the principal are doing a surprise inspection of the rooms searching for any objects that could be a fire hazard! Indeed, we see the two men in the hallway, carrying various electrical machines ranging from a coffee machine to a fondue set! When they enter Sissi’s room, Jim is amused when he discovers photos of the principal joining in at children’s’ parties. The situation is less of a party for Odd: the arrival of Kadic’s authorities is imminent and he has nowhere to hide Kiwi! 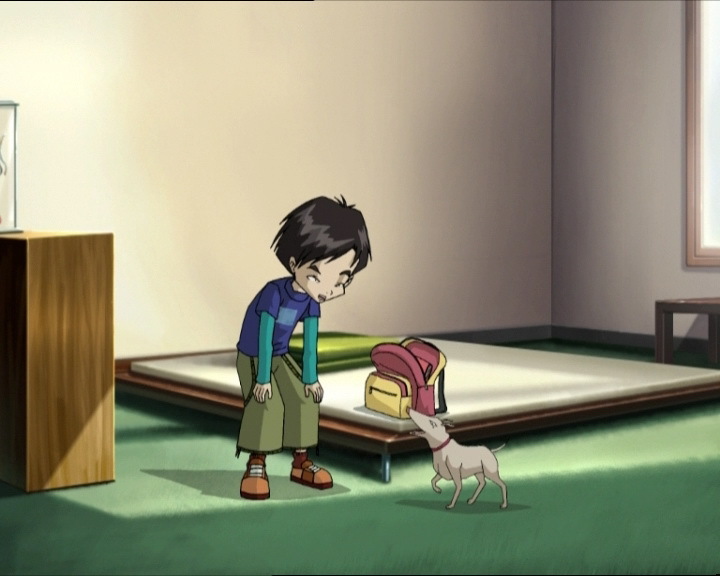 Refusing to exile him to the factory again, he begs Yumi to take his dog to her house during inspection time. Yumi refuses: her father Takeho hates pets because they’re unhygienic and shed everywhere! However, faced with Odd’s pleading, the Japanese girl gives in, places Kiwi in her backpack and leaves the room at the moment when the two inspectors come in! Returning to her house, Yumi entrusts the dog to Hiroki who doesn’t have class, taking care to tell him incorrect information about the dog’s diet! Probably in retaliation for the homework she must now do for Hiroki for three days, in exchange for his small service! 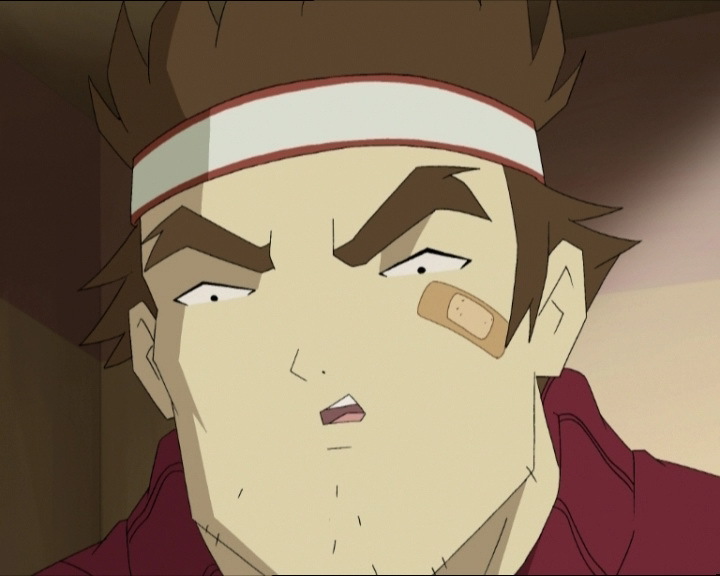 Back at Kadic, odd isn’t satisfied to know Kiwi is with Hiroki; he hasn’t forgotten how Jean-Pierre’s days were ended (see episode 56)! He calls Hiroki, who’s in the middle of giving Kiwi chips to gorge on! The Japanese boy assures him that everything is fine and hangs up! Odd isn’t any less worried, but another event grabs the group’s attention: Jeremy’s computer beeps! It’s not an activated tower however, but a newly-detected Replika! The heroes prepare to skip class! At the factory, the heroes are transferred to Lyoko and leave in the Skid! They traverse the Digital Sea without much worry from XANA and arrive on the Replika! Everyone seems focused, keeping in mind that the destruction of a Replika means weakening XANA. They also hope to discover what XANA is up to! Only Odd’s thoughts are elsewhere: he only thinks of Kiwi and hopes he’s ok! He’s worried for nothing: Hiroki is playing fetch with Kiwi! On the Replika, the heroes find their first surprise! Expecting a Replika of the Ice or Mountain Sectors, they actually discover a Replika of Sector 5! Aelita anchors the Skid to the only tower in the Sector! Jeremy activates it and Teleports Odd and Yumi! He then tries to contact them. The two Teleported heroes respond to him from far away: they’re in outer space, in a new space station, currently uninhabited! Yumi takes a moment to admire the beauty of Earth, and Odd thinks of Kiwi, then the two spectres go in search of the Supercomputer on the space station! For the moment, they only discover a strange assembly line with balls that resemble miniature Megatanks! On the Replika, Ulrich and Aelita are waiting for XANA to react, however it’s running late! When it does occur, it’s violent! A powerful red ring of data materialises around the Skid and starts to tighten its grip! Jeremy analyses the composition of the Replika of Carthage and understands that it works with a key system, like the old Sector 5 on Lyoko! Ulrich, the fastest, then decides to go find this key at the other end of the Sector! Aelita goes back into the Skid and reinforces its energy shields! On Earth, the situation worsens! Mr and Mrs Ishiyama come home! Hiroki stashes Kiwi in Yumi’s room! He doesn’t have time to clean up the miss from his games with Kiwi! He promises his parents to clean everything up immediately. 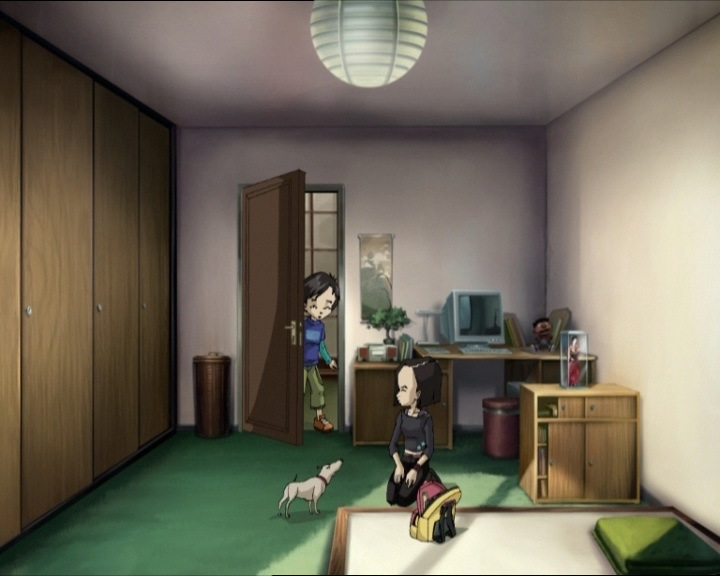 Another stroke of bad luck: Kiwi begins to bark in Yumi’s room! 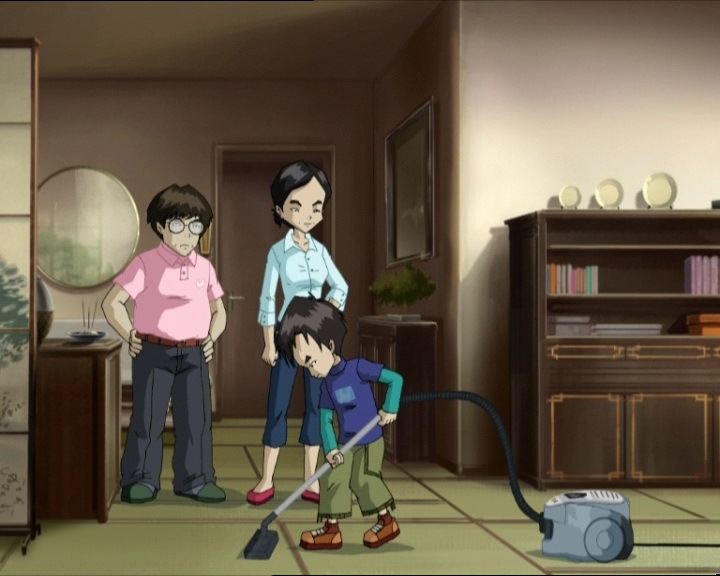 Hiroki turns the vacuum cleaner up to cover the noise. But it doesn’t work, Mr Ishiyama ends up unplugging the machine and following the dog’s barks, he discovers Kiwi in Yumi’s room! This does not bode well, especially as Hiroki quickly hides to escape awkward questions! Yumi and Odd find the Supercomputer! Jeremy asks them to make it look like an accident! Odd, thinking about Kiwi, has the idea of sabotaging the Supercomputer by dropping water on it. And for that, he chooses to break a pipe! 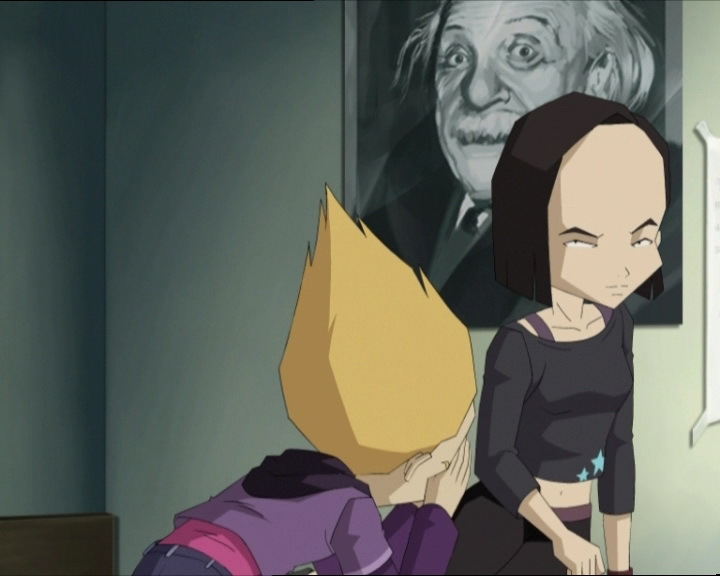 At the moment when Odd and Yumi go to do this, the balls from the other room begin to float, and three of them head towards the Teleported Lyoko Warriors! The ring disappears straight away! 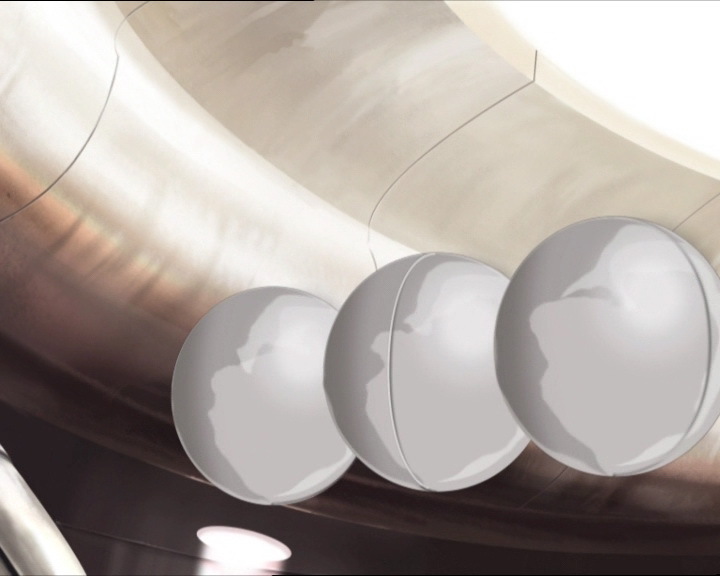 In the space station, Yumi and Odd must face off against the balls! They are now covered in sharp spikes like sea urchins, and are charging at them! The kids hide behind an airlock! However, the balls, much more dangerous than they thought, start to heat up and try to get into the room by melting the door! The heroes must find a solution! Odd then has a bright idea: he orders Yumi to hang on and opens a large door leading to space! Drawn into the vacuum, the balls are one by one dragged out of the station, while the two teens hang on for dear life, then close the metal doors again! They then return to the Supercomputer room, and attack the water pipe with a hammer! The water pours into the room and short-circuits the computer with the eye of XANA on the screen! The mission is successful and the two heroes can be deteleported! 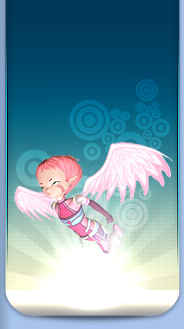 In front of the Skid, Aelita defends herself well! The two adversaries can’t manage to break one another’s defences! The Lyoko Warrior dodges energy waves, William blocks energy fields with his large sword! Hopper’s daughter manages to make William fall over and places her foot on his zweihander, but it turns into smoke and trips Aelita! He places the girl under the control of his smoke, visibly ready to throw her into the Replika’s Digital Sea, however his initiative is interrupted by the return of Yumi and Odd! 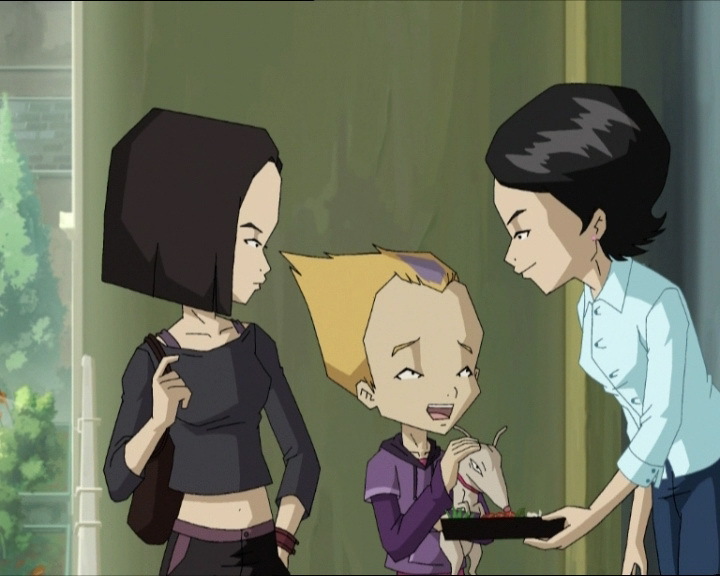 Against the two Lyoko Warriros, despite his attempts to attack them, William doesn’t come out on top! He deflects a fan, then a laser arrow! Now unarmed, he fails; at any rate, the Supercomputer has been destroyed and the Replika is disappearing! He doesn’t have any more time to destroy the Skid and flees instead! The heroes follow suit! They board their submarine and escape the Replika before it explodes! Back on Earth, Odd and Yumi go to the Japanese girl’s house to get Kiwi back and discover, surprised, Yumi’s father having lots of fun with Kiwi! - Attack: Take control of spheres with spikes on a space station! - Discovery and destruction of the Sector 5 Replika! - Discovery of Yumi's parents' new clothing. - Second time William retreats from a fight against the heroes. - Yumi's father says he hates domestic animals. However, he's very affectionate of Kiwi! - The door to Jeremy's room is dark grey instead of light grey. - The handle on the door to Sissi's room is on the left instead of the right. - The principal's eyebrows are grey when he's with Jim in the hallway. - The door to Yumi's room is red instead of brown when Kiwi is locked inside. 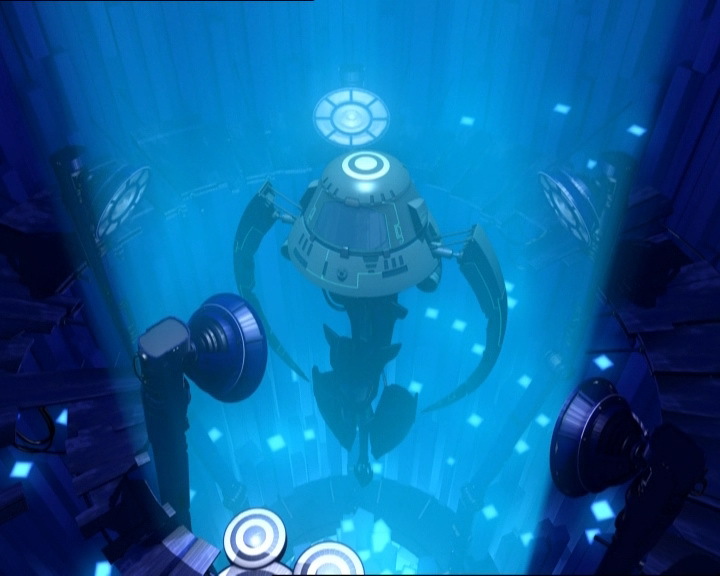 - The factory microphone disappears jsut before Yumi enters the scanner, it's in Jeremy's right ear when he says “release docking mechanism”, and towards the end Jeremy still has it despite taking it off in the preceding shot. - During the Teleportation, the marks under Odd's eyes disappear, as well as when he asks Yumi if she thinks Hiroki is giving Kiwi anything to drink, just before Yumi pushes Odd by kicking him and before she closes the door to escape the spheres. - Final appearance of Creepers. - Only Replika to be discovered and destroyed on the first mission. - Third appearance of the GameBoy game “Tutur 2000”! Played by Hiroki. - Reappearance of Hiroki's GameBoy Advance SP, Ulrich's comic and the Go game board from episodes 29 “Exploration”, 66 “William Returns”, 67 “Double Take”, 70 “Skidbladnir” and 84 “Guided Missile”. - Aelita makes an allusion to the boys' dorm room inspection from episode 61 “Sabotage”. 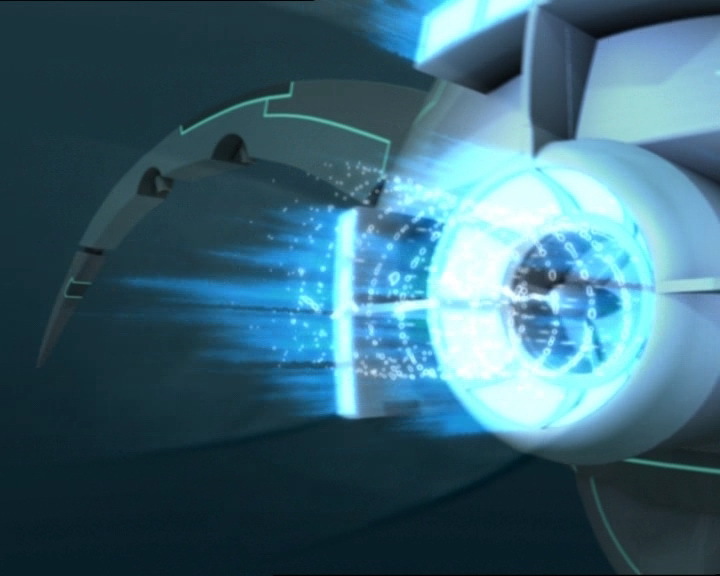 - The Sector 5 Replika functions like Lyoko's Sector 5 before it was destroyed (key to deactivate). - Odd makes an allusion to the preceding episode when he refused to leave Kiwi locked in the factory for inspection time1 In the episode before, Yumi, Ulrich, Aelita and Jeremy banished the animal to the lab so he'd stop tearing their things apart! This is an allusion to his Tamagotchi from episode 56 “False Lead”! 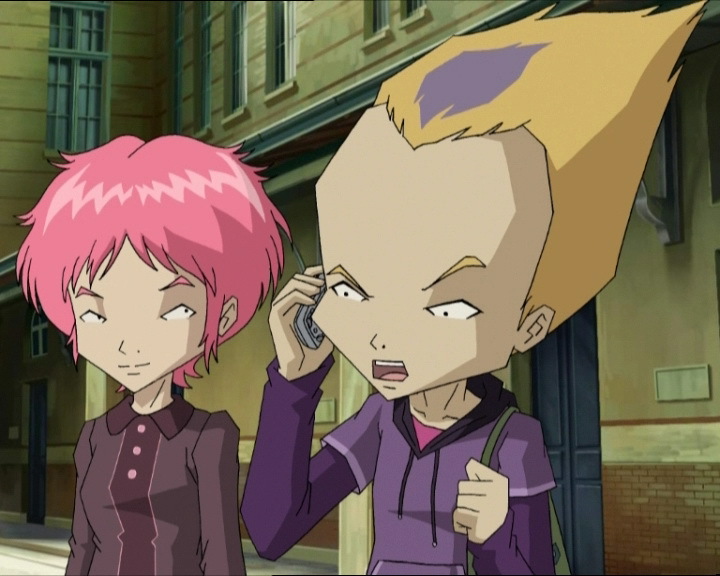 Stolen by Ulrich, Jeremy, Aelita and Yumi because Odd was becoming addicted to it, the gadget's days were ended when Hiroki threw it onto the road! This term was originally used by Superman, a DC comic book character, when he took flight. 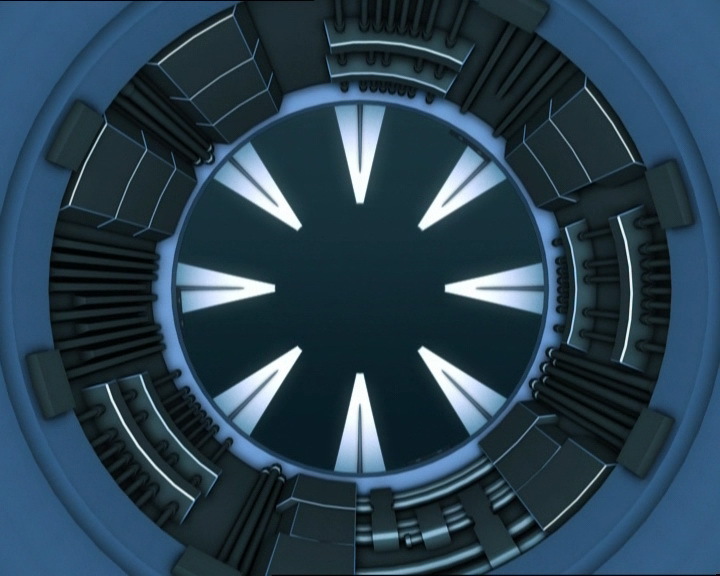 - The title refers to the 2001 film “A Space Odyssey”. It's a play on words, combining the film title with Odd's name. Odd: It’s all over, he’s gonna end up at the pound, or worse, in some travelling circus strapped to a rocket and shot out of a cannon! Unless…Yumi, you don’t have class for another hour, could you, uh…? Yumi: Don’t even think about it! Odd (begging): Yumi, please? You’re his only hope! Yumi: The answer is no! Yumi: Odd! You know if there’s one thing my father can’t stand, it’s pets that shed their hair all over the house, chew up furniture, do their business…! Odd: Pretty, pretty, pretty, pretty, pretty, pretty, pretty please! Yumi: Ok Odd, you win this time. Odd: Oh thank you, Yumi! Nothing can stop me from kissing you! Yumi (hand on Odd’s mouth): Well I can! Hiroki (entering his sister’s room): Hey, what’s that ugly mutt doing here? Yumi: It’s Kiwi, Odd’s dog. Hiroki, promise you won’t say anything! Hiroki: …ok, but promise you’ll do my homework for a year! Yumi: You’re such a little crook, but I don’t have a choice, I have to go to school. Look after Kiwi ‘til I get back, ok? Yumi: Oh, and-and don’t give him any steamed vegetables, it seems he can only eat chips and mustard, got that? Hiroki: Don’t worry about a thing, uh, Leechie, I’ll take good care of you! Yumi: No sweat, Hiroki’s watching him. Odd: Hiroki?! Are you nuts? Did you forget what happened to poor Jean-Pierre? Ulrich: Your Tamagotchi? Sad, we’re still in mourning. Hiroki (on the phone): Sorry, we’ve already got encyclopaedia! Odd: Wait a second, don’t hang up, Hiroki! This is Odd. Hiroki: Don’t worry, everything is cool! Your dog is in good hands! See ya! Jeremy: The Supercomputer has just picked up a new Replika on the network! Yumi: Rats, now I’ve gotta come up with a new excuse to get out of Chardin’s class again! Odd: You won’t be missing much, ‘cept a little nap! Yumi (annoyed, about Kiwi): Chill out, Odd! He couldn’t be in better hands! Aelita: What do you think it’s gonna be this time around? Jeremy: I have no idea! Yumi: It might be a Replika of the Ice Sector. Ulrich: My guess is Mountain. What do you think, Odd? Odd: I think I should’ve fed him more tofu kibbles! Aelita: What do you know, we were all wrong. Welcome to a Replika of Sector 5! Odd: Aye aye, captain Einstein! Ulrich: We stay here and guard the Skid. Jeremy: Odd, Yumi, do you read me? Odd! Yumi! Yumi: We read you loud and clear, Jeremy! Jeremy: That’s great! Well which continent did you land on this time? Jeremy: What?! You mean you’re in the ocean?! Odd: No for two, but we are floating! Jeremy: Outer space? You guys are in outer space?! Yumi (annoyed): Odd! You’re looking at the most beautiful sight you’re ever going to see, and all you can think about are your stupid cans of dog food?! Odd: Kibbles! I never give Kiwi canned dog food! Jeremy: According to your co-ordinates, it looks like you guys are on the brand new international space station, four hundred kilometres above the Earth! Yumi: Good, that’ll give us time to find the Supercomputer and destroy it! Yumi: Jeremy, there’s a line of little metallic spheres here, like mini Megatanks! Odd: You think XANA’s manufacturing those things? Yumi: I have no idea. Anyway, they look harmless enough. Yumi (grabbing Odd’s hand): No Odd, don’t touch it, you never know! Yumi: Jeremy, I think we just found the Supercomputer! Jeremy: Perfect timing because XANA’s trying to wipe out the Skid. Better take out the Supercomputer now. Be careful though to make it look like an accident, the space station is too well-known, we don’t want any rumours about sabotage. Yumi: An accident? How do we do that? Odd: I hope your brother remembered to give Kiwi enough to drink. Yumi: We’re facing disaster and all you can think about is your dog?! Odd: Water! Yeah, that’s a good idea! We’ll create some water damage, there’s gotta be water flowing through one of these things! Mr Ishiyama: Hahahaha! Nice little doggie, you love playing with your uncle Takeho, don’t you? Yeah! Hahahaha! (seeing Odd and Yumi) Oh…back already? Odd: Uh yes, Mr Ishiyama. I don’t want my dog to be a bother to you, so uh…I’d like to take him home. Mr Ishiyama: Oh really? Well if you like I could take care of him for…a week or so! Odd: Thank you sir, but I missed him! Mr Ishiyama: I can understand that! Ms Ishiyama: Just a minute, Odd! Here, take some sushi! Odd: Thank you ma’am, but…I’m not crazy about raw fish. Ms Ishiyama: But it’s not for you, it’s for Leechie! He loves it, especially when it’s got lots of mustard on it!